Pattern - recent high made a double top which rarely end trends. So, expect a move above that level. Fibonacci – price down to 76.4% retracement level and the 88.6% angle, a very nice setup for a corrective low if that is to be the case. 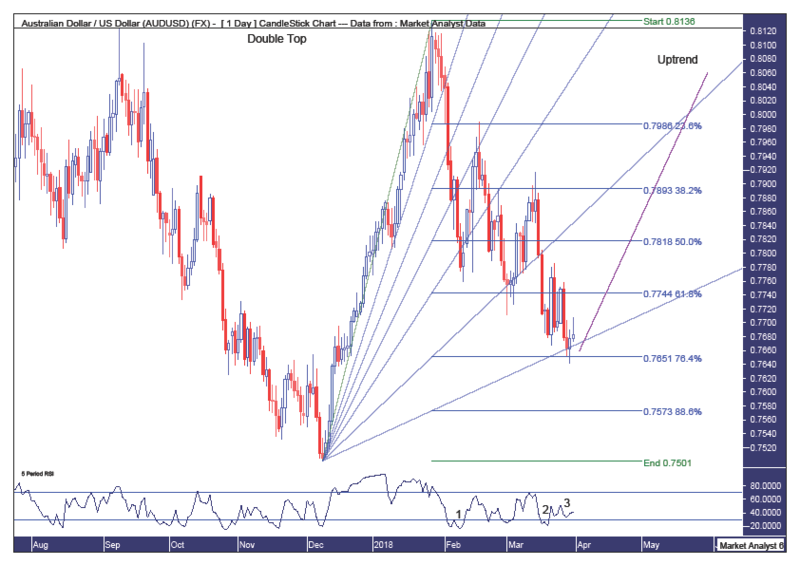 RSI – triple bullish divergence in place at recent low. Nice. Pattern – price looks to be in a corrective rally within an overall downtrend. Looking for one final sharp rally to put some doubt into the minds of the bears before the downtrend resumes. 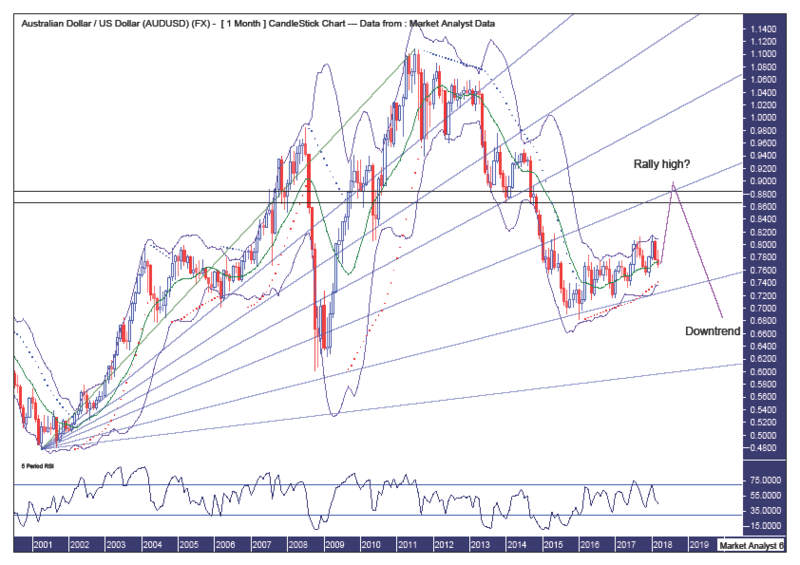 Bollinger Bands – price has been finding support at the middle band and I expect that to continue here. PSAR – indicator in a bullish position with dots under price and could be used as a stop loss. Currently at 74.20c and climbing. Fibonacci – price found support at the 76.4% angle two years ago and I expect the final rally high to be up around resistance from the 61.8% angle. Let’s see. RSI – generally trending up. Horizontal Lines – denotes resistance from previous lows at 86.60c and 88.48c. I expect price to test these levels and probably trade marginally above. Summing up – bullish over the next few months, looking for a move up to around the 90c level.